Jesus will hold your heart. These words shared with me by my friend DB are echoing in my heart, head and mind as I wonder what God is calling me to. Am I going to meet my Mr. Right? Am I suppose to adopt? Really I have more questions than answers these days. I know that God hears my every prayer. But as a friend reminded me, God often says Yes, No or Wait!! What, wait? God doesn’t always give an answer all the time. I know that but sometimes that is so hard to hear especially when you are waiting for God to answer your prayer. I want an answer other than simply wait. Yes, that place where the world’s deep hunger and my deep gladness meet. The thing is, my friends, that hunger is all around us. We all hunger in some way or another. Yes, there are many who literally hunger. God calls us to reach out to them and provide food for them. I am proud of organizations like Backpack Buddies in our community where backpacks are filled with food and given to families who are struggling to get them through the weekend. We hunger to find that special person to share life with. We hunger for peace to be brought about in this world. We hunger for the end to violence and war. We hunger to know that there is enough. We hunger to know that we are enough! And in that hungering, we begin to truly hear the words from Frederich Buechner because we are truly not alone. We are all alike in many ways. We all have things that we hunger for and need in our lives. We all hunger for God’s love, grace, and forgiveness. And in that promise, we know that we are truly never a lone; that we are truly never strangers. Hi friends! Can’t believe I haven’t posted for a few weeks. So here’s three weeks worth of Sunday Blessings. (6) Being told how much of an encourager I am. (7) Having lunch with the ladies at church after a funeral. So nice to not have to walk home in the crazy cold. (13) Return of FMF Twitter party after a two week break. I’ve missed these people!! (17) A new nativity for my collection from my friend CT! Love it!!! (19) A colleague calling and picking my brain for ideas. (20) A late Christmas gift from one of my Confirmation students; a pretty bracelet. (22) A post of mine being linked to on a friends blog. Thanks Melissa!! (28) A sweet message from another blogger. Thanks CL! I am linking up for the Five Minute Friday. The FMF is hosted by Kate Motaung on her blog Heading Home. Today’s prompt is “Share.” Write for five minutes; unedited. Anyone who reads this blog knows how deeply I yearn to be a wife and a momma. Now there are things that I don’t want to share with anyone. I dont want to share germs. I don’t want to share a half eaten piece of bubble gum. But my friends, I do want to share life. I want to share life with that special someone. I want to share the joys and even the struggles of being a family together. I want someone to hold my hand and share in my tears when I am sad. I want someone to share laughter and love with. I want someone who will hold my hair and wrap me in nice warm blankets and take care of me when those germs someone shared with me enter into my body. I want to share so much but I am trusting in God; trusting in God who hears my prayers and shares the desires of my heart; who knows exactly who I am as a child of God. I believe in this God who reminds me that God is boss and is orchestrating my life into a beautiful symphony; where every note comes into perfect harmony with the instruments around it. And I patiently wait for the day when those notes come into perfect harmony and God brings that special Godly man into my life who I can share life with. Sometimes God has this sneaky way of confirming things to us, doesn’t he? The other day I picked up a devotional off of my dresser to read that day’s reading. This devotional is a book my friend Sue shared with me last August and I have been enjoying it ever since. The devotional is “Jesus Calling: Enjoying Peace in his Presence” by Sarah Young. Each devotional reading is written from Jesus’ perspective. Yep that is exactly how I felt when I read that devotional the other night. God whispering to me, “Do not be afraid! Trust me!” As “brave” chose me, I have found myself wishing another word had found its way into my heart and head. In fact, every time I type my one word “brave” I find myself shaking in my boots *a little* or maybe *a lot*. Yet these words are confirming to me that God is with me on this journey of being brave. God is the one who orchestrates the events of my life. 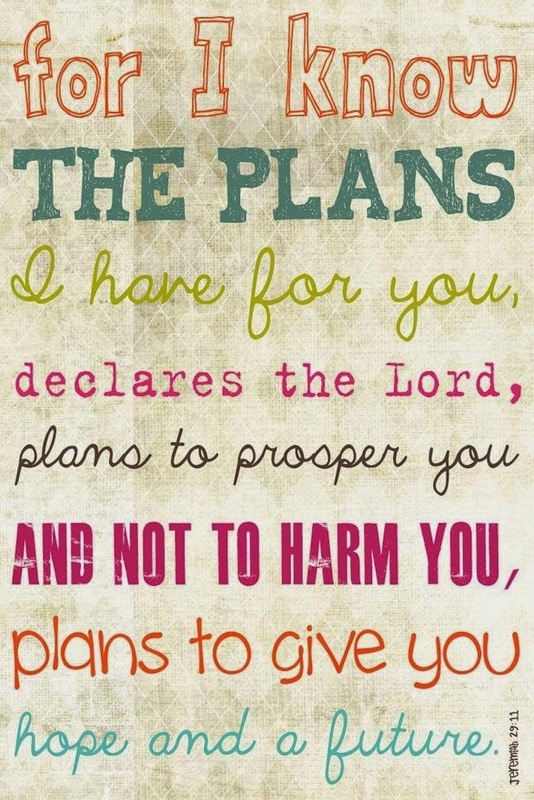 God indeed knows the plans God has for me and they are good. And my friends God indeed knows the plans God has for you too and they are good! I am linking up for the Five Minute Friday. The FMF is hosted by Kate Motaung on her blog Heading Home. Today’s prompt is “Send.” Write for five minutes; unedited. Do we truly believe these words? Or do we run and hide as we say them for ourselves? Yet there is such a gift in trusting in the call to be one of God’s disciples in the world. Earlier this week, I shared about the 5th anniversary of the Haiti earthquake and the death of my camp friend Renee’s husband Ben. Ben, Renee, and Ben’s cousin Jon were in Haiti because they had been sent their to help teach about the Lutheran church there. They were staying and volunteering at St. Josephs School for Boys when the earthquake hit. Renee and Jon somehow were able to get out of the rubble but Ben breathed his last breaths as it was believed he sang the words “God’s peace to us we pray.” Today Jon and Renee are married and both serving as Pastors. In fact, they are expecting their first child any day now. God continually calls us to be God’s Servants in the world. God calls me…God calls YOU! A little bit of music for your Wednesday afternoon. It is amazing to me how much more aware of my #oneword365 “brave” I am aware of than I was before I chose that word as my word for the year. I recently heard this song and smiled when I saw the title. It is called “You Make Me Brave” by Amanda Cook and Bethel Music. This morning I woke up and immediately began to “remember.” Five years ago today, the earthquake struck in Haiti. My friend Renee (we worked at Bible camp together), her husband Ben and Ben’s cousin Jon were in Haiti when the earthquake hit. Ben lost his life that day. It is believed that his last words were breathed as he sang the words “God’s peace to us we pray” and then it was silent. I was in Gettysburg Pennsylvania that January day. I was a small group leader for the Diaconal Ministry Formation Event (all diaconal minister candidates are required to do the formation event.) My small group and I were talking about prayer that Tuesday morning when one of my students said she wanted to share a song with us. She pulled it up on her laptop and we strained to listen to this beautiful song. The song was song by Jon and Ben and talked about “hands parted after prayer like cups raised to receive.” (The words were words of a poem that a seminary classmate wrote). So that morning we listened to the song and than later that afternoon we found out that the earthquake had taken place. Immediately my IM box was popping up with messages from friends letting me know that Ben, Jon, and Renee were in Haiti for a J-term class and that they had not been heard from yet. It is hard to believe that it has been five years today since the earthquake hit. I found myself waking up this morning. My cell phone clock confirmed today as January 12th. Grief has a way of swooping in and declaring to us the date even before we realize what day it is. Today I was reminded of that again. Immediately I took a breathe and began remembering. And throughout the day I was continually reminded of the promise of hope and Resurrection. A couple of friends texted to say they were thinking of me today. I went to start my car this morning and an envelope was taped to my driver’s side window. I opened the envelope. Inside was a note talking about how it wasn’t it much but hopefully it would brighten my day. With the note was a McDonalds gift card. Then from there, I got to spend the day with one of my dearest friends and dear colleagues as I headed to our YouthWorkers meeting. We spent the day talking about the ELCA Youth Gathering this next summer and tips we wished we knew when we went for the first time. Tonight at Curves, I shared the story of Ben, Renee, and Jon and the promise of hope and Resurrection. Then tonight another celebrity reminded me that it’s never too late. George Clooney got up to accept his Cecille B DeMille Lifetime achievement award. He was talking about how everyone in the room is a winner. But then he got kind of teary eyed and talked about how incredible it is to find someone to love. He then proceeded to say “especially when you have waited 53 years for that someone to love.” George’s words reminded me that God does hear our every desire and our every word. Yet that is so easy to forget sometimes especially when you ache and yearn for something SO DEEPLY!!! And this week it was three celebrities who reminded me again that God DOES hear me. God DOES know every desire of my heart. And sometimes God needs to send simple reminders through people I see every day but also sometimes through simple conversations from people who I love to watch on the big screen. Thank you to George, Jimmy, and Nicole for reminding me that life is a roller coaster and sometimes you miss the opportunity if you don’t get on the ride. But most of all for reminding me that it is never to late to find that special someone to love. So I am continuing to choose to be brave and to trust in this one who indeed HEARS me! I am linking up for the Five Minute Friday. The FMF is hosted by Kate Motaung on her blog Heading Home. Today’s prompt is “Welcome.” Write for five minutes; unedited. yet there are things I still want to welcome into my life. Anyone who knows me knows that I love babies. My arms are always open to welcome a little one into my arms and to snuggle with them. There is something so holy about holding a precious infant in my arms. At at thirty six years old, I am so ready for a family of my own. I am so ready to be a mom and a wife. I yearn so deeply and my door is always ready to welcome these people into my life. Yet God hasn’t welcomed those things into my life yet. I know that I need to wait on God’s timing and not my own. God will welcome my deepest desires into my heart if that is what God desires for me. Or God will show me new dreams to welcome into my life. And perhaps these dreams will be welcomed as I cling to my #oneword365 for this year “brave.” This word is a word that I didn’t really want to welcome into my life, but it is the word that chose me and that God chose for me. Being brave, I trust that God will welcome what God knows that I need.